Dammand & Rasmussen. Danish manufacturer and editor. 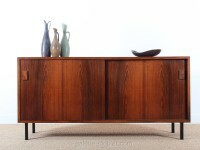 Produced essentially sideboards and cupboards during the 1960s and 1970s.